A number of months ago I reviewed the young adult book Zelah Green by Vanessa Curtis. Well, Zelah's back, and I've been asked to review Zelah Green: Dating Queen (the books seems to have different titles in different countries, thus the title on the cover photo). When we last saw our heroine, she had just left a rather quirky residential treatment facility, where she'd been treated for her OCD. It helped a bit, but didn't quite take. Now she's home for the summer with her dysfunctional Dad, and things aren't going well. It's not clear whether they take a turn for the better or worse when her almost friend Caro from the treatment center shows up uninvited to stay for the summer. Zelah's dad's an unemployed alcoholic, Caro's a depressed cutter, and her dad's girlfriend takes a conveniently-timed vacation, leaving poor Zelah to deal with the stress. Her OCD, not surprisingly. ramps right back up, and she's back to scrubbing her face till it's raw, and stopping to jump the prescribed number of times every time she takes the stairs. With nothing much to do at home besides clean, Zelah joins social site "mysortaspace" and next thing you know, she and her old friend Fran are sneaking into London to meet strange (or perhaps not so strange) boys. I really enjoyed the first book, and this one was decent but not quite as satisfying. It's a quick read, and the characters are quite interesting; I find myself wanting to know how it all turns out. However, at this point, it feels like the story is inching along at a snail's pace, simply to allow the series to have a whole lotta books. Zelah's OCD is front and center, but her treatment is extremely slow. This is okay, sort of, and probably pretty realistic, but it's also frustrating to read about compulsions over and over and over. Caro's appearance doesn't feel very natural, and Zelah's father's reaction to Caro seems even less natural. I get that having the book center on therapy rather than characters might be dull, but at this point, I think we'd all be rooting for Zelah to succeed and watching her do it would be fabulous. I'm curious where the story goes, but hope it doesn't take 10 books to get there. 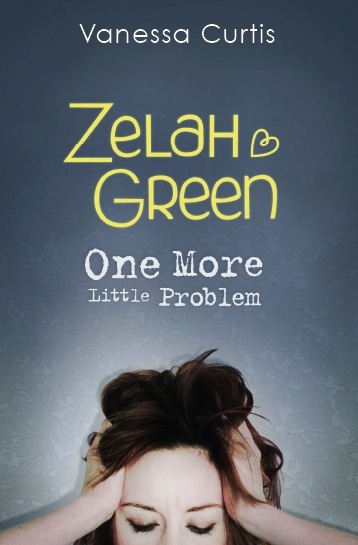 Zelah Green is available via Amazon.com.